Life has been so, so busy lately, and there are no signs of it letting up anytime soon, but I am trying to live life well and accomplish my goals in the midst of all the busyness. Right now though, it's time to slow down. I've got my coffee, a gorgeous blanket that my mom crocheted for me, and I've taken the time to gather some of my very favorite links for you. These are blog posts and articles that I have found very helpful or encouraging over the past week or so, and I hope they will be the same for you! 1.) You can do hard things. It's true. And Erica has a whole post on the subject. 2.) My new favorite blogging crush? Sarah Von Bargen of Yes and Yes. 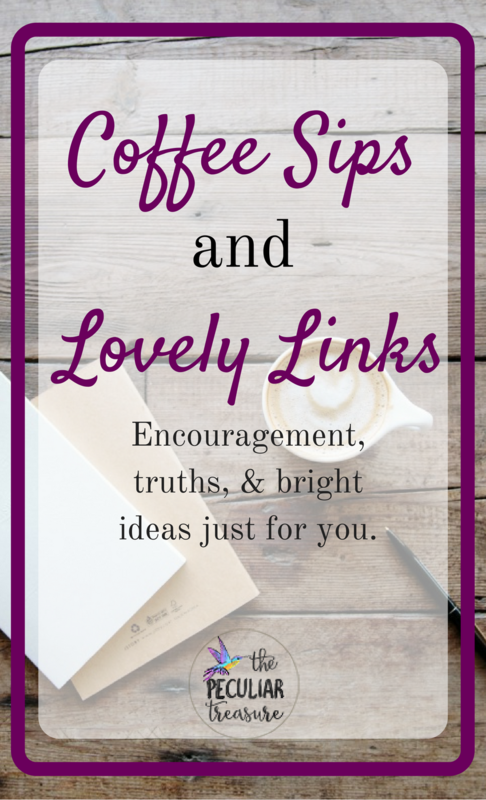 She is so knowledgeable about the blog world and sends out the most helpful newsletters! This vlog is where I "met" her. 3.) As a blogger, it's really important to stay authentic and not try to put on a show. And really, I think authenticity is necessary no matter what you are doing. It can be so tough to live by that sometimes, but it's important regardless. Summer of Coffee with Summer discusses this issue in detail here. 4.) Ever wonder how long God will hang on to you? How long He will put up with your mistakes? This post by She Reads Truth is an excellent reminder. I thought all of these posts were excellent, and I found them to be encouraging and thought-provoking. I believe we need both of those things in our lives. Which link was your favorite? Did you find yourself encouraged? Tell me about it in the comment section below. I love reading Coffee with Summer, and I also like She Reads Truth. I've followed some of their Bible studies. I'll have to check out the other 2. Aren't they great!? Thanks for reading, Marsha! I loved Summer's post about authenticity. She's so straight forward and honest and her point really drives home as authenticity is something us bloggers are confronted with every day. Thanks for the linkup! Exactly. We basically have to "reset" everyday and make sure we are geared towards authenticity, which Summer also pointed out. haha. I love your new series Kristin! 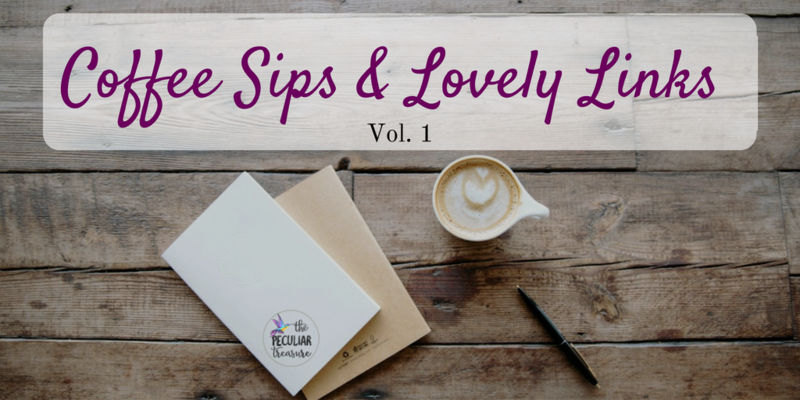 I think it's so fun to share other bloggers' work. Thanks for the links to check out! Hope you get some rest soon. Thank you, Terryn. I appreciate that! Thanks for sharing the links! I loved Summer's post too! Aw thank you so much for including my post, sweet girl! You're the best, and I'm loving the link up! Happy to include you! And thank you! I appreciate it! Oh I have some good reading ahead of me. Thanks for this! Erica and Summer's posts this week were great, felt very motivated after reading both! Sarah's blog is really good and her newsletter is amazing! These are some great links, thank you for sharing them. Kristin, I love how you did this post. It helps me to remember that I to need to keep a list of my favorite blogs and find time to read them regularly. Thank you so much, Donna! I am glad it inspired you!